If you don’t have a videographer website, a place where you show the work you’ve done as a videographer, then you’re in trouble. In this article, I’m going to cover why you need a videography website, how to build one, and even give examples of great sites that really work. This is Part III of this section of the guides on creating a successful video business. We’re diving into more depth with creating the message you will use in your marketing. As always, if you haven’t yet started at the beginning of the guides, you can find them here. The first part of Crafting Your Message is here and the second part can be found here. There’s lots of important stuff we’re going to go through in this part, including lots of online considerations like a website and a social media presence. This is the most detailed part of the Crafting Your Message section, so be prepared to take some notes. Yes, you most definitely do. Look, it’s not an absolute essential piece, but it sure is a piece of the marketing code. I know people who have been successful for periods of time with no website and just book video business clients through word of mouth referrals. However, those people eventually discover the advantages of a website and come around to the idea. A website is a great marketing tool for you – a veritable soapbox from which you can stand and get your message out to the masses. Given someone a business card? With your website address on it, they can check out your stuff in their own time. It’s always there for them to checkout and discover just how awesome you are! And check it out they will. We won’t go into SEO, blogging, opt-ins and all the other latest internet marketing buzzwords. This isn’t the right space for them, and discussions of those can be found all around the internet. They can be massively beneficial, don’t get me wrong, but get the basics down first. I’m going to cover exactly what you need, what it should look like, as well as what tools to create it. I’ll be skipping the internet buzzwords and talking about the key aspects that you need in your video business website. One of the key aspects of your website should be a section for Samples of Your Work. Here you can flaunt your digital brilliance for all the world to see! You’ll need a domain name and website hosting to start with. For domain names, I highly recommend Namecheap. For hosting, you can’t go wrong with Hostgator. There are plenty of resources for creating a quality website. My recommendation is the fantastic WordPress. A ridiculously huge percentage of the world’s websites are now using WordPress. They use it because it’s awesome. With tools like WordPress, creating a website is no longer in the realm of internet whizzes who hold all the cards – you can now do it yourself! Everything’s pretty straightforward if you use WordPress. When I go through this section, I’ll use the example of When It Clicks, a Dallas based wedding videography (and photography) company. I should probably point out that this isn’t my company (that would represent a bit of a conflict of interest), so I’ve featured a US based videography company who I think do things really well. I’ll include screenshots below of their site. It’s a very interactive site, so it’s best to visit it and see what’s possible with your website, as a screenshot can only show you so much. A Vibrant Homepage – complete with brief statements about what you do, as well as colorful stills of some of your video work (this is a bonus, you can always use images from an online stock image retailer – iStock is good). As you can see from the example above of When It Clicks, the homepage is vibrant and attractive to their target market – brides. There’s a beautiful image front and center and text leads in with a brief description of their philosophy. The screenshot cuts off the rest of the text, but there’s more below. The menu is simple and concise and doesn’t give the user too many things to click on. This is good, as it carefully directs the user to where they want them to go. Too many websites have an over-the-top number of menu items, which makes navigation clumsy and misdirected. You want to have a few menu items that direct your potential client exactly where you want them to go. An About Us Page – again, include a more detailed description of you and your services. Include your Elevator Speech here. I’ve included a few screenshots to show what a good About Us page looks like. This site allows the user to easily scroll down to get more info and the information about the company is short, concise and efficient. The fonts look attractive and the photos of the team themselves personalize the user experience. There’s no doubt that you’re dealing with a professional and upbeat group of people. There’s also good use of humor in the section where the two founders’ differing opinions on things are playfully explained. This is a key point: have some fun with your website – there’s no need to be overly serious. Visitors to your site, especially the market that When It Clicks are in, don’t want something overly corporate and dead-pan serious – they have their employer’s websites for that! A Contact Page – you want people to contact you, don’t you? 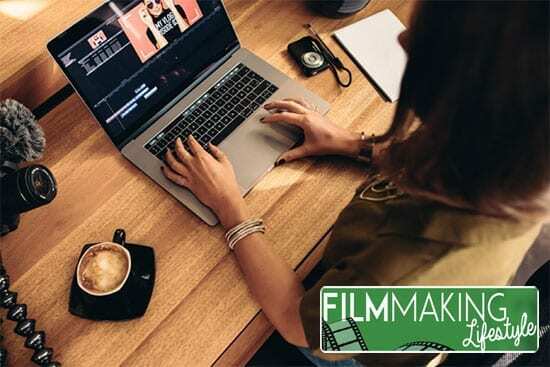 For most video businesses, the contact form on a website will be the first point of contact and the first step towards generating an Initial Meeting with the potential client. If you create your website using WordPress, you can get free plugins that will allow you to place a contact form on your website. This gives people the option to insert their name, email address and a message to you. This then gets emailed directly to your email address. What I like to do is have my contact form direct emails to my personal email address (forwarded from my business email), so that I can pick up the emails on my phone. It’s a nice feeling to be out for the day, come in and look at my phone and have a couple of new enquiries appear in my inbox. You should also have your phone number and address here (it should be in the footer of your other pages, too). Keeping your address and phone number the same wherever you list your business across the internet is essential to maximize the power of your local SEO efforts. I know, I said I wouldn’t mention SEO, but I had to slip that one in as it’s very important. I plan to write about video business SEO in a more detailed post on this site in the near future. The screenshot cuts off the rest of the contact form here, but it’s quite a detailed form for people specifically enquiring about a wedding. Your form doesn’t necessarily need to be this detailed. In fact, Contact Forms with less entry fields statistically have higher numbers of enquiries. Notice, too, that they include an inviting looking image of two cups of coffee here. What better way to intrigue your potential client into an Initial Meeting than to suggest a chilled-out cup of coffee in the near future? A Samples/Our Work Page – This is so important. Not only do I recommend having prominent YouTube and Vimeo video accounts, but a Samples page on your site is the coup de grâce to showing off exactly what you can do for a potential client. With WordPress plugins, you can setup your Samples page to have embedded video linked from your YouTube or Vimeo accounts. In the above screenshot from When It Clicks, you can see they’ve included a number of samples of their video work. These open up in what’s called a ‘lightbox,’ where the video expands large and plays front and center on the screen when clicked. There are many more samples on their site, the screenshot doesn’t capture them all. Be short and efficient with your titles and descriptions on this page – no need to be wordy here. And remember to keep your best work at the top, as those are the videos that will be viewed most. A Blog – This is considered an optional extra by lots of video businesses, but I’m advising that you give considerable thought to having a blog on your site from the beginning. This is all about setting you up as an authority in your field, and a blog allows you to write articles about your industry and what you can do for clients. As well as those things, you can also use your blog to discuss cool shoots and projects you’ve recently worked on. Include both video and stills from the day here to make the experience a total multimedia immersion. I decided early on to include a blog on my video production company’s website and thought nothing of it. A couple of days later, I got contacted by a bridal client. When I went to meet her, one of the first things she said was how impressed she was by my blog and how it really showed that I know what I’m doing. It was great feeling, as I’d literally only added the blog a couple of days before she saw it. I’d added three articles in one day just to give it a sense of having been around for a little while. After her comments, I was convinced that blogging is an important part of the overall video business picture. Like I say, a blog lets you stand out as an authority in your industry. Those video production companies without a blog on their websites are being left behind. So we’ve covered just how important having your own videographer website is. 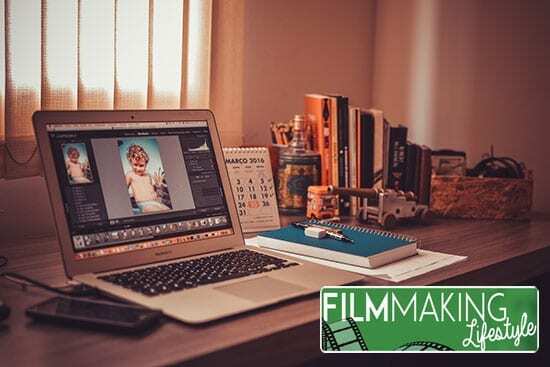 Now, you also need to ensure that you are showing your video portfolio off in the best way possible. A quick word on YouTube vs. Vimeo. Most video professionals are slowly but surely stepping away from YouTube and heading towards Vimeo. For my money, Vimeo is just a much more professional and smoother operating platform for displaying your video. I still use both, but embed the video on my Samples page using Vimeo. And, no, I don’t work for Vimeo. Testimonials are everything for your business, because they allow potential clients to see social proof from other clients about the awesome work you do. 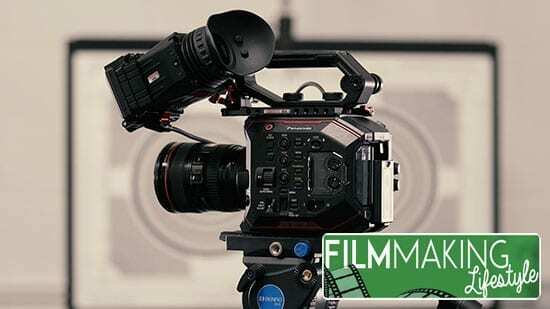 From the perspective of a video production business aiming their service at business-owners, the thing you want to focus on when asking for testimonials is the before/after, rags-to-riches, makeover aspect of the work you’ve done with clients. Okay, we’re not necessarily suggesting anything crazy and overly dramatic here, like those internet commercials of the 1990s that were promptly shutdown for being blatantly false. Most of the clients you work with using video will, naturally, already be fairly wealthy, as video is still seen as a luxury that not everyone can afford. So we’re not expecting crazy rags-to-riches stuff here. Still, any edge you can realistically get here will look fantastic in your marketing materials – be it on your website, in flyers or leaflets that you hand out. In the past, I have asked clients to write me a testimonial for my flyers or website over e-mail. The key thing is to ask for tangible and specific results they’ve experienced or gotten since working with you. And, remember, if your client is so busy that they keep on delaying on giving you a testimonial (it happens), then offer to write them a testimonial and send it to them to be okayed before using it. You can do that, as long as everything’s legit – sometimes clients are just incredibly busy and writing you a testimonial isn’t super high on their priorities list even if they’re very happy with the results of your video work with them. Aside from a videographer website, here are two things that you already have…unless you’re still in the stone age: A phone and an email address. Are you maximizing their marketing potential? Your answerphone message can also act as a marketing tool. Include your tagline and e-mail address if it is easy to remember, and mention your website address. Have a positive and energetic voice and keep it simple. This is also great at educating family and friends that you’re in business now and will help them come around to Your Cause. More on that in a bit. You knew this was coming eventually, right? One of the biggest worries or stumbling blocks for people new to a video production business is, you know, actually telling your friends and family that you’re in business for yourself now. This is something that’s not just limited to video businesses, either. I don’t know why, but this can be a really difficult thing for some people to say. Be confident and sure of yourself and tell your friends and family what you’re doing. Your Elevator Speech will come in handy here. This is all about Networking. I’m sure that’s another word you’ve heard before and wondered what it’s all about. Your Network is currently everyone you know. When you start your video business and really start muscling up properly, meeting people, getting clients, putting yourself out there; your network will suddenly be a whole lot bigger. You can go to Networking Meetings (yes, those exist!) all you like, but you will find the best way to start out and get ahead is leveraging who you know already. As the saying goes, you’re always a couple of connections away from a CEO or a big decision maker in any industry. Start out by telling people face-to-face. Tell your family and closest friends first. These will be the people most likely to Join Your Cause. They’ll be the ones pushing you to succeed, keeping an ear open for jobs to throw your way, and picking you up when you’re down. From there, you can expand to announcing your new business at parties, to friends over the phone and even on your social media. Yes, social media can be a great source of business. It’s important to educate the people you consider personal advocates (those who know you, like you, trust you, love you and want the best for you), and let them know what you’re up to and who your Ideal Clients are. 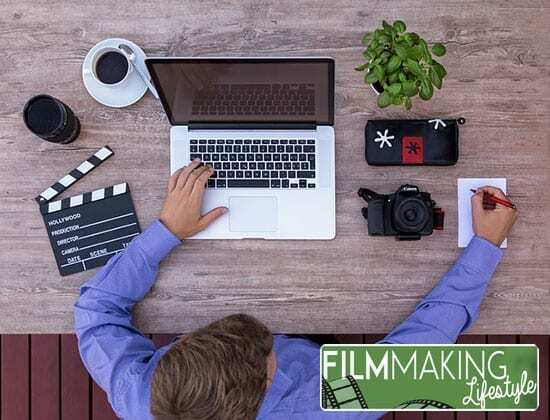 When I started my video business, I sent out friendly and warm letters of introduction to my friends and family, saying what I was doing and asking them to think of me when they saw or overheard a particular situation relating to my video business. This could be certain opportunities or jobs in specific industries that you’d most like. The idea with this letter is to keep it consistently going out to people in your network. The first time around, I made the mistake of sending 250 introduction letters out at the same time, and I had no time to follow up with all 250. Like I say, these people will be your greatest supporters! So I Really Need Social Media? Most people have some form of social media. However, the vast majority don’t make use of it for business purposes. The answer to the question above is: most definitely yes. Facebook is a great tool for growing your video business. 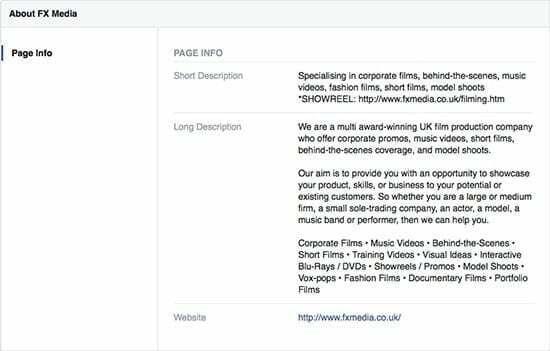 I’d strongly advise getting a separate page for your video business. You can still post about your business on your personal page and connect with people that way. However, having a separate social media presence just for your business will stand you in good stead. 1. Facebook will give you the option to mass invite all of your friends (or select friends) to Like your new Facebook business page. Instead of doing that rather impersonal method, invite people to Like your page using individual private messages on Facebook. 2. Message each of your friends who you think would be interested in following your business, and send them a short but efficient private message on Facebook. Start by catching up with them and maybe offering to help with something. From there, introduce your business using your Elevator Speech and ask them to Like it. You can say that you’re really trying to build up your business and this is the year you break through. 3. Do this with all your friends who you think would be interested in following your business on Facebook. It’s a much more personal and effective strategy than just mass inviting people generically. 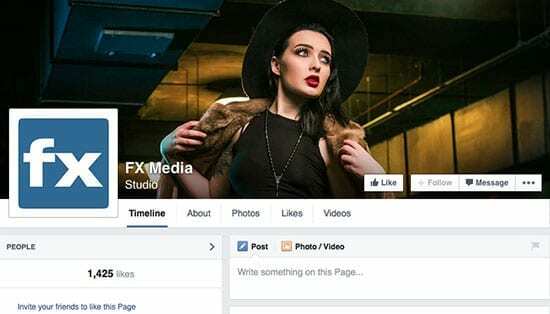 As you can see, the FX Media Facebook page is attractive and eye-catching. Just like any good Facebook business page should be. You get a sense right away that this company cater to high-fashion clients. The description in the About section of their page is short and concise and the wording helps give them an authority status. Key point: you want to put yourself in a position where your potential clients see you as the authority in your section of the market. This is how you crush the competition – you create a situation where the client would feel crazy to go with anyone else but you! what services you provide clients with. you can also post informative (or even funny) pictures related to your industry and target market. For instance, wedding memes if you’re in the wedding videography market. As you get clients, you can start posting stills of shoots as you’re on them, post actual videos once they’re uploaded to Vimeo/YouTube and, with wedding films, even tag the bride and groom in them. Watch your videos go viral as the bride tags all her friends in your branded video! The great hip-hop entrepreneur Jay-Z is a master of the hustle. Yeah, he raps about hustling in his songs, but the man exhibits it in his life, too. Jay-Z, aside from musical accomplishments, also runs wildly successful record companies and clothing lines. How do you hustle? Get out there as much as you can. It’s as simple as that. If you don’t put yourself out there, then you won’t achieve the success you want. If you stay in your house, then clients aren’t going to know that you exist. You’ve got to put yourself in positions where things will happen. When you commit to being in business, you need to be in business. I had this problem when I first started out. I was worried about meeting prospective clients, as I had issues with potentially getting rejected by them. It was tough, but I learnt that once I got out of my comfort zone, things really started happening for me. Think about all of your biggest successes in life, you’ll be able to trace nearly all of them to first getting out of your comfort zone. So maybe you get an invite to a friend of a friend’s party. You’re a little reticent of going to the party as you don’t know the host too well and maybe even heard rumors that you might not get along. Just go! Take some risks – putting yourself out there is how we make things happen! Here’s a useful golden rule – for every hour you spend reading or learning about business, you should be spending 2 hours actually implementing what you learn. Whether that’s working on your marketing, meeting clients or otherwise taking action on what you’ve learnt to build your business. Yes, that’s two hours out there in the trenches of real world interactions. 2:1 ratio. No excuses. All the thinking, debating, analyzing and questioning in the world doesn’t mean a thing if you’re not getting real world experiences…on the regular. Once you have these real world experiences, you can start to form reference experiences. Then you can read more and the stuff you read will make sense as you now have reference experiences to explain what you’re learning. You’ll understand why a deal you had lined up didn’t go down. You’ll learn why positioning in your market is so important. And those stories you read in a business book will finally make sense. As mentioned earlier, one of the most under-utilized aspects of your life that you have at your disposal is your network. Most people completely under-value or even just misunderstand the importance and power of the network they already have in place. You have a far broader network than you realize. 1. Make a list of 5-20 people that you know. 2. Next to each person, write down what that person does (both for a living and hobbies and interests wise). Make sure you include any special skills or achievements that person has under their belt, as well as other people they may know in their own personal networks. 3. Once you’ve noted all this down, look at the list and spend some time thinking about each person on your list and how they could be beneficial to you. Keep it within a human perspective and think win-win situations. 4. Now form a list of 5 specific things that 5 people on your list could help you with in your video business. Write 5 things for each of the 5 people who you think are the most beneficial people in your network. 5. Make sure you keep a record of your network, adding new people to your list as you meet them. You’ll start to realize just how many cool and beneficial people you meet in your day to day life. This exercise will help open your eyes. The key to developing a powerful network of people around you is to think outside of the box and be very logical in working out qualities and attributes of value-giving people around you, whilst still maintaining a human relationship with people who can ultimately benefit you massively. Like I said earlier, think win-win situations. Key Influencers are people who like and respect you, and who come into contact with enough people on a daily and weekly basis to be able to regularly refer you to the right people. They are some of the most influential people you know, natural networkers who seem to know everyone. These are the sort of people who love putting people together, just for the fun of it. You know people like this already, right? They’re the kind of person who’s always introducing others at parties. Take them out for coffee, or treat them to lunch. Let them know what you’re doing and send them out into the world with your marketing message. …I just want to interrupt with a short, but necessary story. Now, at this point, we’ve learnt that so much of what we’re doing in our video business, what we’re presenting to clients, how we’re angling all of our marketing messages, everything comes down to value. Sure, you might need to do some projects for free early on, in order to build a portfolio and get yourself out there and mixing with potential clients. But, as soon as you can, you begin the process of raising your prices and presenting yourself and your services as a premium brand. We’re not trying to compete with other video production services on price. We’re not advertizing how cheap our services are in our marketing materials. And we’re certainly not trying to lowball other video businesses by ‘quoting’ and going as cheap as possible. That’s both terrible for our video business and the entire video production industry! This is how really successful video businesses are grown, and it’s something that we will come back to time and time again in the next section. To illustrate the point, here’s a story that has been told throughout the ages and has many variations. Long ago, a shipping company were having issues with the boiler on one of their biggest ships. No matter how hard they tried, none of the engineers employed in the shipping company could figure out what was wrong with the boiler and why on earth it wouldn’t start. Even their best and most knowledgeable men were dumb-founded. So the shipping company aimed to seek out a solution by going to the local towns in an effort to find an engineer who could solve their problem. They found an old engineer who was only too happy to help. He stood in the boiler-room watching the boiler for about 15 minutes, before he produced a hammer from his toolbox and hit the valve on a pipe with one swift blow. The boiler hissed back to life and the problem was solved. Video business isn’t about pricing based on what other people are doing, or what the economy or your friends or family seem to think you should be pricing at. It’s about pricing your services from a value-based mindset. You need to position yourself as the authority who can solve their problems and give them a solution. How much is the solution worth to your client? How much value does solving their problem have for them? The knowledge and expertize that you have with video will allow you to command value-based prices for the work you do. If you don’t yet have that expertize and knowledge, then it’s time to work towards it. Hopefully you’ve gotten a lot out of this article on building a videographer website. Everything you do from a marketing perspective is built around your website as a foundation. It flows from there. So what platform did you use to create your video company’s website? Let us know in the comments just below here. Always respect your skills and experience and remember to price your services from a value-based mindset. With that in mind, let’s move on to selling your services. What a great guide you have here. I agree that a website is a MUST. I also agree with you stating that the blog is optional, but recommended. Content is king and even though you might have a site full of your video projects, it is a good idea to have a blog to lure in the search engine traffic. Even if you do not have the right type personality to write the content, you can pay a person to do so and at least get some pages filled at a low cost. Exactly, Vincent. Blogging has been a mainstay of small business sites for a long while now. It’s really key to letting your potential clients get to know what you do. As well as that, blogging is amazing for your SEO (that’s Search Engine Optimization) and your overall rankings in search engines. I’m definitely going to have a post about “SEO For Your Video Production Business” soon. Thanks for commenting and getting in touch. Excellent write up Matt! wouldn’t mind learning a bit more about SEO. Thanks, Fred. Most certainly going to have an SEO article up on Filmmaking Lifestyle soon. Appreciated, Rufus. I didn’t even know such things existed, but thanks. Yeah, Tracy – sounds like a plan! A good About Me/Us page should be updated regularly and especially as you evolve your services and what you’re offering. I like what you guys are up too. Such clever work and coverage! Keep up the awesome works guys. Appreciate that, Nicholas, and for your continued support of the site. I’m impressed, I must say. Really rarely do I encounter a blog that’s both educative and entertaining, and let me tell you, you have hit the nail on the head. These ideas are outstanding; business when it comes to video production is something that not enough people are speaking intelligently about. I am very happy that I stumbled across this in my search. I think it’s important to make these articles both informative, as well as entertaining. People learn based when most of their senses are switched on, and keeping things entertaining is a great way to do that. enjoyed surfing around your blog posts. After all I’ll be subscribing to your newsletter and I’m hoping to find more tips there! Cheers, Jonas. And thanks for subscribing to the newsletter. It’s much appreciated! I see you around the site commenting a lot – thanks so much for the support! Thanks, tored. Let me know if there’s anything specifically that you need clarifying? Glad to have you here as a reader. This was great to learn. Packaging my stuff, especially weddings, as always been a difficulty. Great to hear from you, Ronald. Cheers!